Q1. 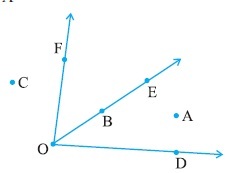 Name the angles in the given figure. (b) In the exterior of ∠EOF. 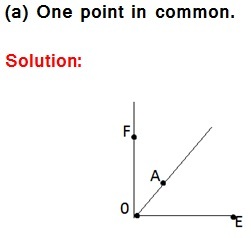 (a) One point in common. 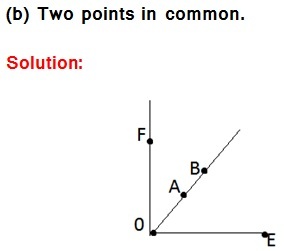 (b) Two points in common. 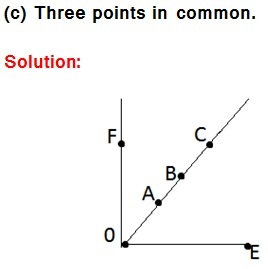 (c) Three points in common. 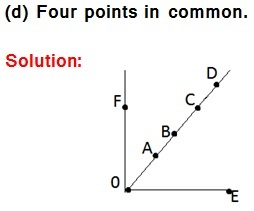 (d) Four points in common. 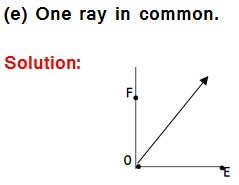 (e) One ray in common.